Goulash is traditionally a Hungarian dish made with stew meat, red sauce, and paprika, usually served with noodles, rice or mashed potatoes on the side. Hungarian goulash often includes onions and garlic, red peppers and caraway seed. The American version was inspired by this traditional European dish with some minor distinctions. What kind of meat is in goulash? Across the world, goulash is usually made with chunks of beef. It works well with beef that is tough that gets tender with slower cooking, which makes it affordable. Lamb, pork or veal can be used as well, but normally beef is the meat of choice for this dish. How do you make American goulash? The American version of goulash usually uses ground beef instead of chunks of meat. The sauce is more like a bolognese style (or American chop suey popular in New England) and is made with elbow macaroni in the dish instead of being served over it or on the side. American goulash is a true comfort food and can be made on the stove top in a dutch oven or in a slow cooker. The video below shows (presumably someone’s Hungarian grandmother) a woman making authentic, traditional Hungarian goulash. Take a look! There are hundreds and hundreds of amazing recipes on the web for both types of goulash, so I decided to do a low carb version. My version changes it up even more by adding cabbage instead of pasta to keep it lower carb for keto and other diets that eliminate grains. I also have a vegetarian / vegan version that is very similar to a traditional American version but it uses plant based crumbles instead of ground beef. You can change either version to your liking by adding additional veggies like green pepper, mushrooms, carrots, whatever! I am not very good with my knifework when cooking so cutting an onion takes me forever. And the longer I am exposed to the onion, the more I cry. So I recently discovered a great tip for grating onions. It goes a lot quicker and I kind of like the smaller pieces. I have started using these graters. 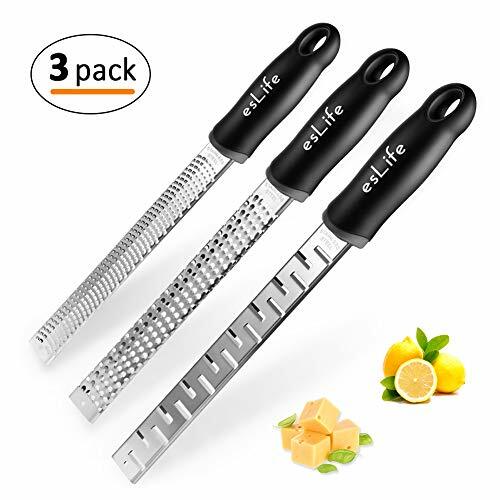 The three pack is versatile and makes quick work of getting that onion grated with less tears. It’s a sturdy set, the handles are perfect for gripping and well balanced. You can use them for cheese, citrus, chocolate, potatoes, whatever! My go-to pan for cooking soups and stews like goulash is an enameled cast iron pan. 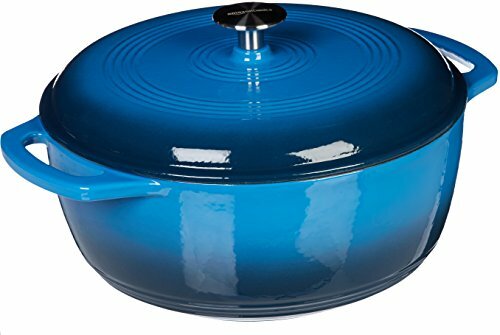 Of course, I one day hope to own a La Cruset dutch oven, but for now, I use Lodge enameled cast iron, although AmazonBasics has a great looking, affordable 6 qt enameled dutch oven as well. Mine is green cause I love green! I really feel like this recipe can be modified to your liking. Consider this sort of the “base” for the recipe and add some of your favorite veggies. Heck, you could even add bacon! First, you brown the beef. Add liquid ingredients and seasonings. This recipe uses adobe seasoning which you can buy yourself or use my easy homemade recipe. Don’t forget I also have a vegan version of this goulash! Click the image below to check it out. This low carb version of American goulash is an easy one pot meal that is pure comfort food. Pasta is replaced with cabbage for a filling keto meal. In a large pan, saute your ground meat in skillet over medium-high heat until about half cooked. Add garlic, onions, olive oil & until meat is fully cooked. Drain excess grease. Stir in cheddar cheese and serve. Do i need to drain the meat? Would you mind adding this to the recipe instructions? Unfortunately, I didn’t see this until after I had added the broth and water. ? Thank you! Why do some of your pics have pasta? The one with the pasta is an advertisement for my vegan version. Sorry for the confusion!